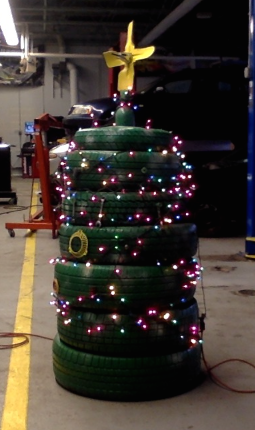 🎄 made of tires, via my Auto class. We thought it was cool. My contribution was the chrome part in the middle of the star. It’s a lug nut cover from a large truck. I found it on the side of the road on Sunday, and I thought it would look nice on our tree, so boom.